It's been a hot minute since I've done some galaxy nail art. 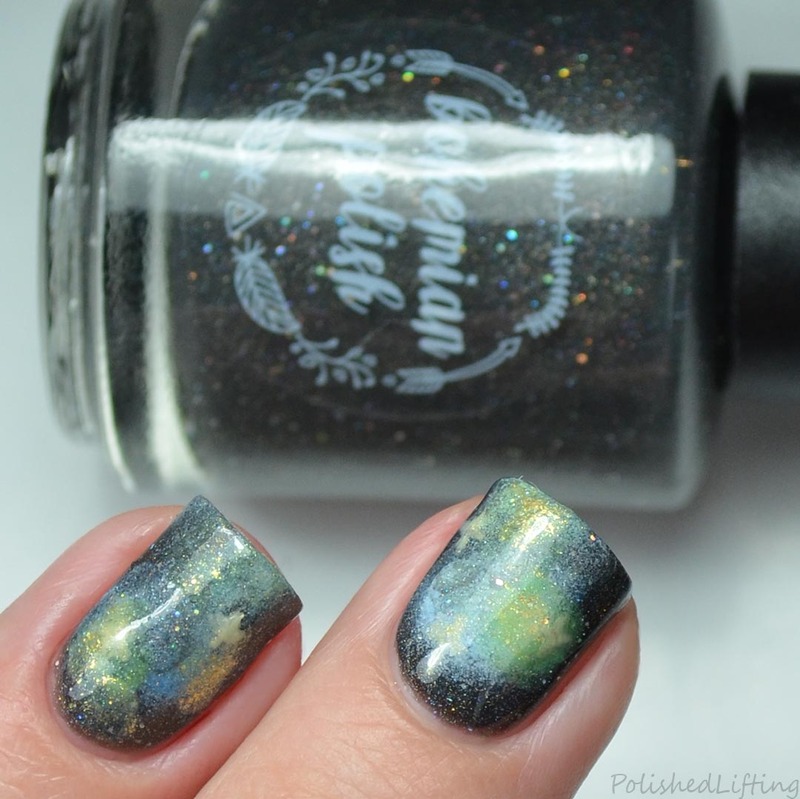 I'm really thankful that the #31dc2017 included this prompt because it gave me the opportunity to play with some of the upcoming shades from Bohemian Polish Clemson Memories collection. 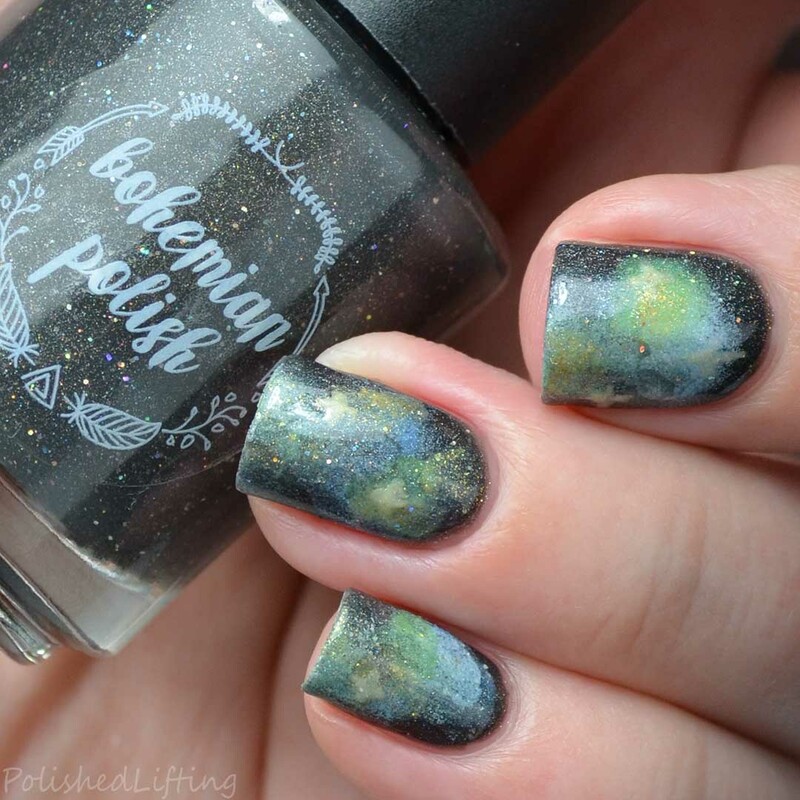 I'll have swatches of the entire collection for you soon, but in the meantime here's the galaxy I created with a handful of them. I've never done a yellow/green/blue galaxy before, so I'm really enjoying this color combo. Bohemian Polish Clemson Memories collection has everything I needed for this look. I'm quite fond of how you can see the holo of Howard's Rock through some of the galaxy art. If you enjoyed this post you might like Bohemian Polish Polish Con Chicago 2017 LE and 31dc2017 - Delicate Damask feat. Bohemian Polish Comin' Home Again.